Reality shows have been a staple of American life for almost two decades now, and there are basically only four types of such shows: day-in-the-life, talent competition, dating show or endurance/athletic competition reality show. Whether they’re pushing their bodies to the physical limit, singing their hearts out or having dinner parties and arguing for all the world to see, sometimes the show cannot go on for some of them. The annals of reality show history are filled with people who get injured or ill and have to wrap up the their part on the show early. Let’s take a look at some of the reality show participants over the years who’ve had to check out of their series because medical issues got in the way. Dancing with the Stars is exactly the type of show where you’d expect competitors to be sidelined by health issues. But, sometimes, instead of those health issues being directly linked to the competition, there’s an underlying problem that’s simply brought to the surface because of the physical nature of the show. Tamar Braxton dropped out of Season 21 of the dance show due to the presence of blood clots in both of her lungs. Unfortunately, that diagnosis led her doctors to another issue, thoracic outlet syndrome. The condition causes problems with the veins and blood vessels in the chest area and neck because of compression. After leaving Dancing with the Stars, Braxton even had to have one rib removed to relieve the pressure. At some point in our lives, most of us have done something we know we shouldn’t do and ended up getting hurt because of it. Well, Chuy Bravo, best known as the host’s assistant on Chelsea Lately, did exactly that while competing on ABC’s 2013 high diving contest Splash. During the very first taping of the show, Bravo jumped up on a table in the lounge near the practice pool. Sounds like fun…until the table broke, he fell to the ground, and ended up breaking his heel bone. Obviously, he was out for the entire season before it even really got started. Sometimes the filming of a reality show just comes at a bad time in a person’s life, and their health suffers for it. Late in 2015, five-year Mob Wives veteran Renee Graziano left the show for health reasons that included the health of some of her family members. During the filming of Season 6, Graziano had to be rushed to the hospital, where doctors discovered she was dehydrated, had low potassium levels, unbalanced hormone levels and seriously low blood pressure. Graziano was also trying to deal with her mother and father’s medical conditions; they had been diagnosed with lupus and cancer respectively. Those three issues combined, plus stressors from the mega-drama filled show, led her to leave and focus on herself and her family. Things can quickly turn scary when real real life interrupts a contestant's time on a reality show. 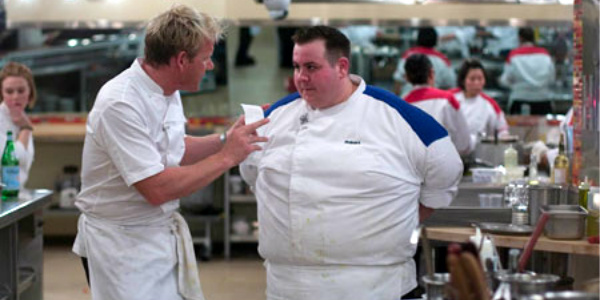 Executive Chef Robert Hesse found out what that was like during his tenure on Season 5 of Hell’s Kitchen in 2009. During Episode 11, the remaining chefs were flown to the Borgata Hotel and Casino in Atlantic City to dine with the hotel’s vice president of cuisine and see what their future place of employment would be like, should they win the competition. Shortly after the meal began, Hesse had to leave the table and said he was having chest pains. After being evaluated at a hospital, he was diagnosed with pericarditis (an inflammation of the fibrous sac surrounding the heart) and had to leave the show. He was invited to return for the next season, where he was the eighth chef eliminated out of sixteen. 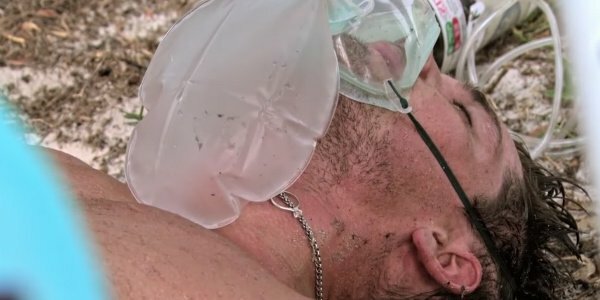 On a show like Survivor, where contestants face serious potential health concerns on a daily basis, it’s not surprising that some of the players have had to leave the show due to Survivor related issues. Earlier this year, during Season 32, titled Survivor: Kaôh R?ng, three contestants collapsed during a challenge. Caleb Reynolds was the third to find himself overwhelmed by the combination of heat and activity. Host Jeff Probst was so worried by Reynolds’ condition, that he scrambled the crew of the show to help cool him down. Reynolds’ heat exhaustion was so severe that the medical team decided that he couldn’t finish the competition, and he was evacuated 22 minutes after he collapsed. If you're waiting for your favorite reality show to return, be sure to check out our Summer TV Premiere Schedule.